Up with the Blades: Neil Warnock and Chris Morgan. FOOTBALL’S Mr Marmite, Neil Warnock turns 70 tomorrow admitting he would be as happy managing in a Sunday league as he is in the Premier League. At a time when his contemporaries have either reached for the pipe and slippers, or are on reality television eating bugs in the Australian jungle, Warnock is still on the touchline trying to win a game of football. Or, as his daughter Amy found to her cost recently, starring in motivational videos with expletive-filled footage taken from fly-on-the-wall documentaries Warnock has featured in over the years. Yet after over 50 years in football, and nearly 40 as a manager, it is perhaps no surprise that Warnock is able to even cause moments of discomfort to his own family. After all, this is a man who chuckles at the self-expressed notion that fans of Bristol City – a club he has had countless scrapes with – should hold a minute’s booing to mark his passing instead of a minute’s applause. Love him or loathe him, though, it has always been impossible to ignore Warnock. A journeyman winger who played over 300 league games at eight clubs, Sheffield-born Warnock prepared for management when plying his trade as a 24-year-old under Len Ashurst. “It was Hartlepool, 1972,” said Warnock. “We got beat at Boston in the FA Cup and Len Ashurst called us all in the next day and started on every player and what he thought of them. “He got to me and I’ll never forget what he said – what we should have done and why we let him down and the club down. “I knew I could never get to the top. I wasn’t good enough. I was a quick, brainless winger. The way it has all come out so far, you would think I was guilty of committing more crimes than Osama Bin Laden. Warnock’s long journey in management began in 1980 at a time when Margaret Thatcher was Prime Minister and Blondie were riding high in the pop charts. From Yorkshire Sunday league at Todwick he went to Gainsborough Trinity and on to Burton and Scarborough, who he took into the Football League in 1987. Jobs have come thick and fast since and the eighth promotion won at Cardiff last term set a new record for a manager. Warnock is the second-oldest manager in English professional football after Crystal Palace’s Roy Hodgson. “I’ve looked back more this week than ever with my 70th birthday coming up,” said Warnock, who won successive promotions at Notts County in the early 1990s, as well as those at Scarborough, Huddersfield Town, Plymouth, his beloved Sheffield United, QPR and Cardiff. 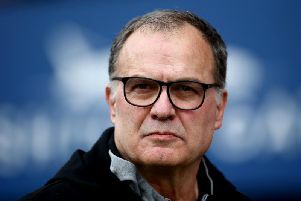 While he smiles at his long-standing role of pantomime villain – “I’ve built that up over the years and played up to it” – his ability to bridge the generation gap by working with wealthy 20-somethings and love for football remains undimmed. “I could go and manage Gainsborough Trinity next week, or even back in a Sunday league again, and it wouldn’t worry me,” he said. “A lot of managers feel like they couldn’t drop down, but it isn’t beneath me.